On May 16 there will be a coffee morning at Fishmore Hall and once again if you can help with manning stalls, providing raffle or tombola prizes please let Daphne know. 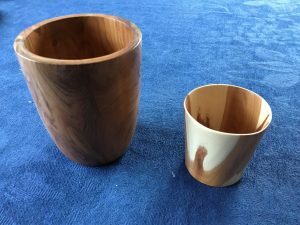 A wide range of wood turning, ranging from bowls to birds, all made by Tom Crowther at his Whitcliffe workshop will be on sale to boost our funds. In the past year donations for Tom’s work have raised more than £1,000 for the Friends for which we are extremely grateful.